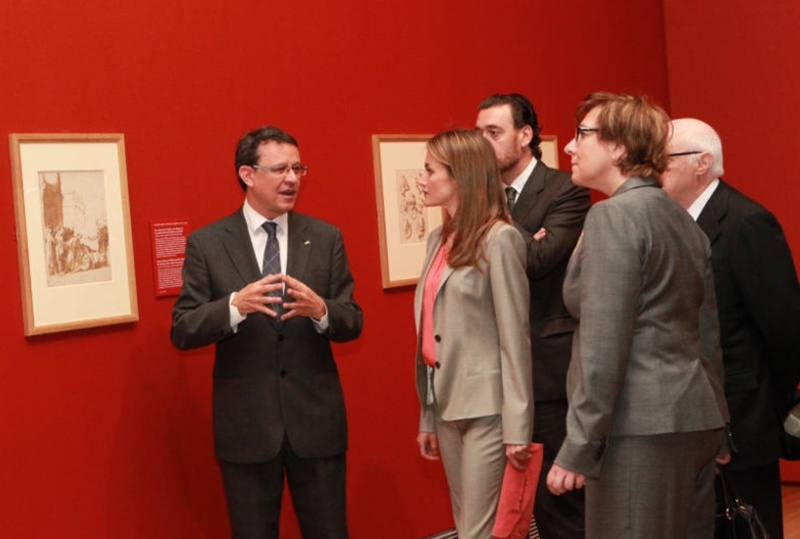 On May 14, 2013, Her Royal Highness Princess Letizia of Asturias arrived at the Museo Nacional del Prado in Madrid to view an exhibition entitled, El Trazo Español en el British Museum: Dibujos del Renacimiento a Goya (Spanish Drawings from the British Museum: Renaissance to Goya). “…opens with the oldest drawings by 16th-century Spanish artists working in Castile, including Alonso Berruguete. This section also explores the repercussion on Spanish drawing of the presence of foreign artists in the country, primarily Italians, who were working on the decoration of the monastery at El Escorial. Among them was Pellegrino Tibaldi, represented here by one of the most outstanding architectural drawings of the 16th century, Study for the Decoration of the Library at El Escorial. If you happen to live or will be visiting Madrid, Spain within the next few weeks, and would like to view, El Trazo Español en el British Museum: Dibujos del Renacimiento a Goya, the exhibition ends on June 16, 2013. For more information about the exhibition please click here and here. On the morning of May 14, 2013, His Royal Highness Prince Harry of Wales visited Mantoloking and the famous Seaside Heights in New Jersey. During his visit the prince accompanied by Governor Chris Christie was given a tour of areas “…devastated by Hurricane Sandy, met with emergency personnel and construction workers racing to get resort towns ready for the summer…” and much more. Later in the afternoon, Prince Harry arrived in New York City where he visited Milk Studios and then visited Harlem where he played a good old fashion game of baseball with local youths. For more information about today’s visit to New Jersey please click here and here. 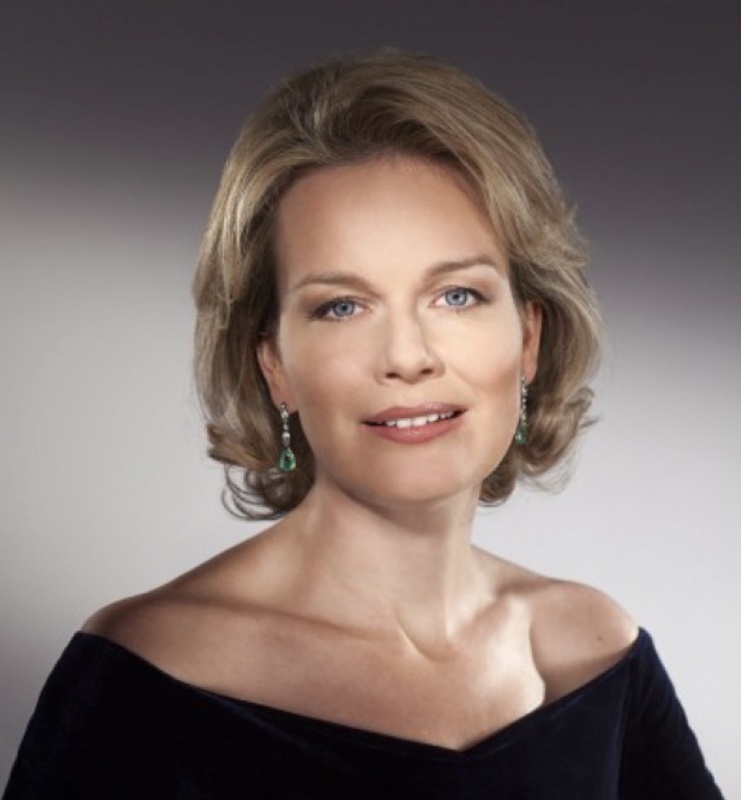 Her Royal Highness Princess Mathilde of Belgium Attends a Conference in Brussels. Plus, Other News. On May 14, 2013, Her Royal Highness Princess Mathilde of Belgium attended a conference entitled, Basic Education for Change, organized by the Association Plan Belgique in collaboration with Unicef Belgique. Later in the afternoon, the princess accompanied by her children attended the Concours Reine Elisabeth Piano 2013 semi-finals held Studio 4 Flagey in Brussels. His Royal Highness Prince Philippe of Belgium Attends the 2nd Edition of the Belgodyssée Masterclass in Brussels. 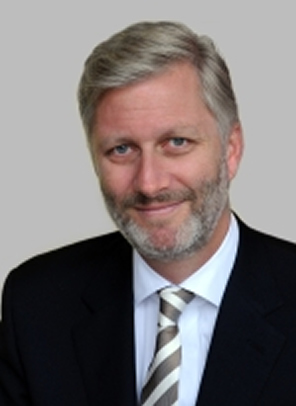 On the afternoon of May 14, 2013, His Royal Highness Prince Philippe of Belgium attended the 2nd Edition of the Belgodyssée Masterclass for young journalists held at the Centre de Presse International (Residence Palace) in Brussels. “…was devoted to the optimal use of evidence gathered through social media and their impact on the dissemination of information. 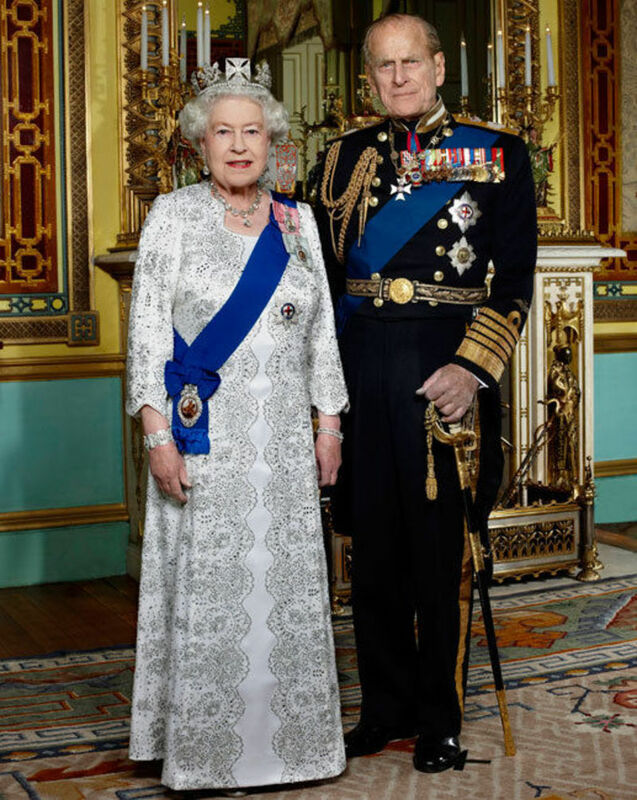 News Regarding Her Majesty Queen Elizabeth II and His Royal Highness The Duke of Edinburgh. On May 14, 2013, Her Majesty Queen Elizabeth II and His Royal Highness The Duke of Edinburgh were at the Chapel Royal at St. James’s Palace in London to “…attend a service for members of the Order of Merit…” according to the official website for British royal family.